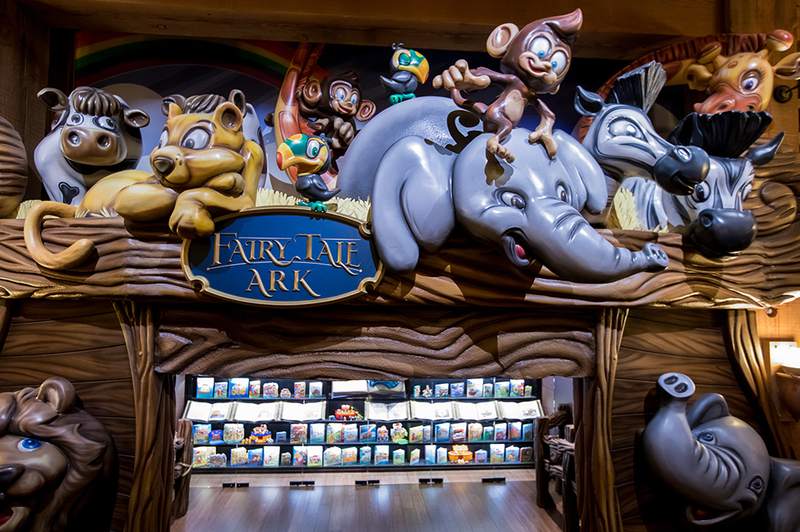 As you walk through the life-size Noah’s ark at the Ark Encounter, you will come across the Fairy Tale Ark exhibit on the second deck. Here, you will find a collection of children’s books and toys in this display. But what is a fairy tale ark, and why is it dangerous? What Is a Fairy Tale Ark? You’ve no doubt seen drawings, children’s books, toys, and images that portray a tiny Noah’s ark that looks like a bathtub, with the giraffes’ heads sticking out and modern animals on board. Everyone’s smiling and happy. There’s no explanation for the cause of the flood, and there’s no mention of sin or past and coming judgment. We call those images fairy tale arks. Why Are Fairy Tale Arks Dangerous? While they are meant to be cute and fun for kids and were surely drawn with good intentions, fairy tale arks ignore the fact that the biblical account of the flood is about a righteous and holy God judging an exceedingly evil world, yet showing mercy to animals and mankind through Noah’s family. The Bible explains that the size of the ark was 300 x 50 x 30 cubits. Some children's books send mixed messages by citing the biblical dimensions of the ark while displaying an image of a fairy tale ark. Presenting contradictory information confuses readers rather than properly instructing them. Using artistic license and stylizing the ark is not necessarily sinful, but these cute arks drastically distort Scripture and make the account look like a fairy tale. Do You Know the 7D’s of Deception? Our Fairy Tale Ark exhibit shows the importance of communicating biblical truths accurately. 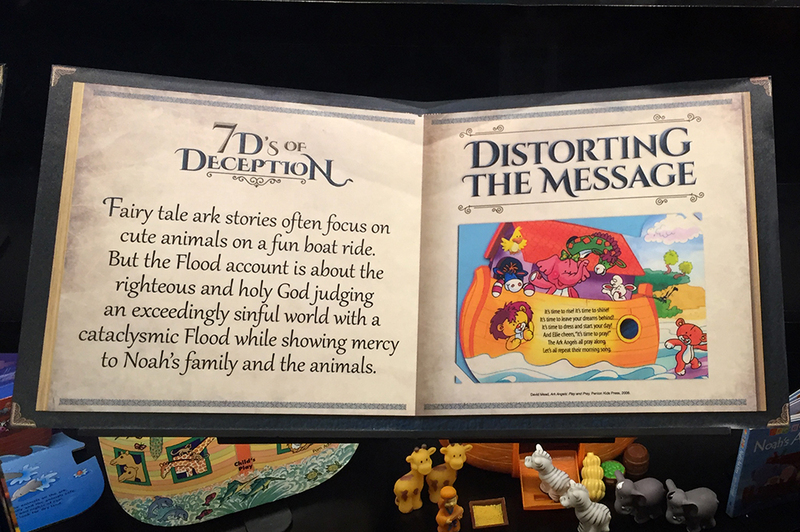 As you walk through the Fairy Tale Ark exhibit, don’t miss taking time to read each of the “book” pages, outlining the 7D’s of Deception, which include Distorting the Message, Deceptively Cute, Discrediting the Truth, and more. Each page explains the danger of the fairy tale arks in detail. 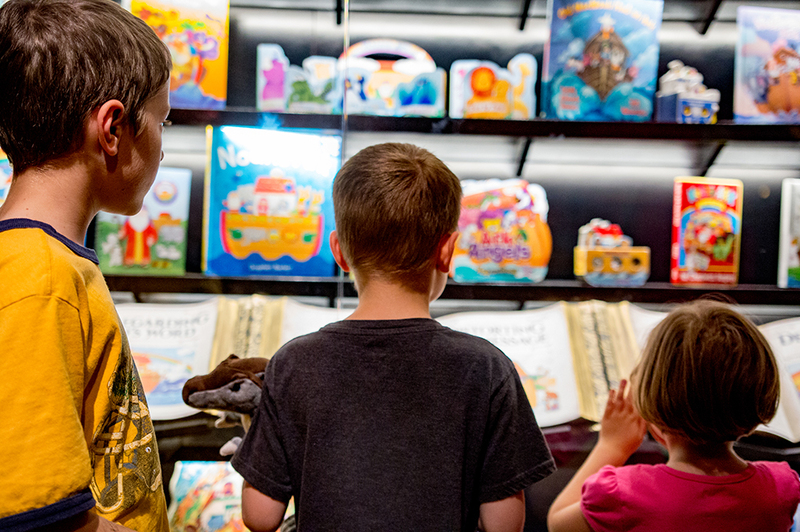 Start planning your trip to the Ark Encounter today, and head into the Fairy Tale Ark exhibit during your visit. 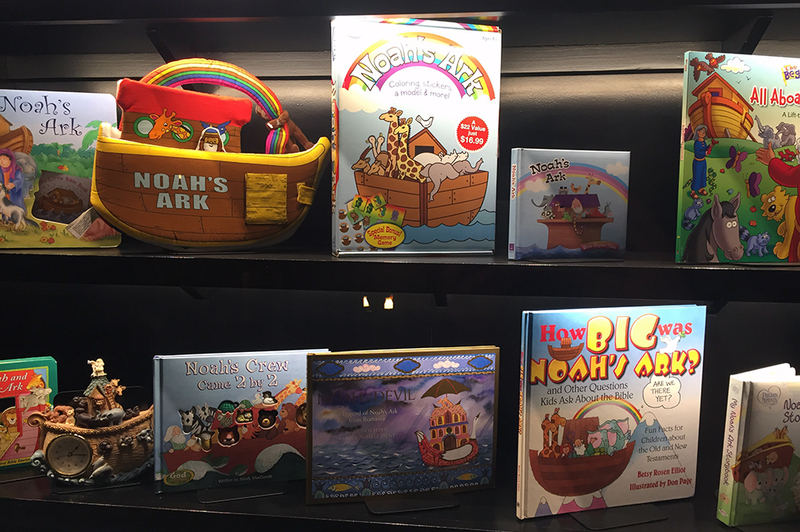 As you visit the gift shop, consider taking home some of our Noah’s ark resources for your children so you can equip them with the truths of this biblical account.